The 27th Annual Freestyle Rally will be held Saturday, March 16th at Pebble Creek Ski Area. 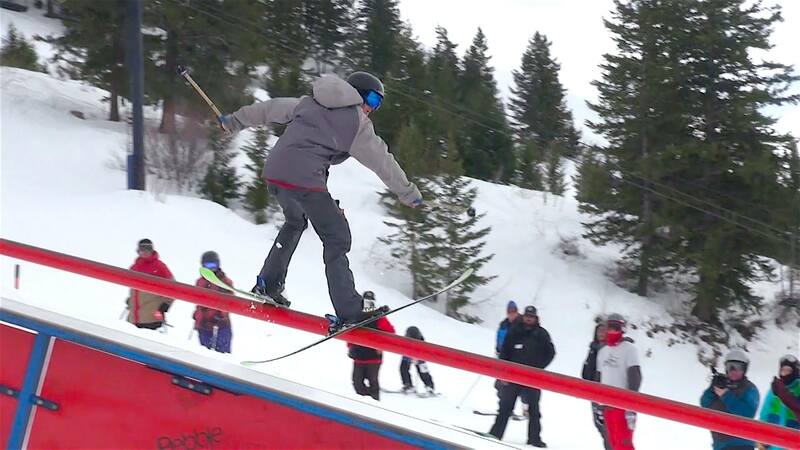 All freestylers are invited to participate with events for skiers and boarders. The Legends of Liftline Event is scheduled for 11AM. Skiers and boarders will be judged giving it their all on a course down Upper Liftline. This is the second time this event has been held at Pebble Creek and was a definite crowd pleaser last year. The Wiggle Course for both skiers and boarders is at 1PM. With a banked slalom course set up above the lodge on The Face, this timed run is a great spectator event. For these events, participants are divided into age groups from 5-17 years or 18 and up, with male and female divisions. How high can you go? The Big Air Event is open to all boarders and skiers. This judged event is at 3PM in the Terrain Park. The Awards Ceremony will begin at 4:30PM in the Lodge. Competition winners will each receive a coveted “Piece of the Rock”. All participants are entered to win great draw prizes. Draw prize winners must be present to receive their prizes. The Registration fee for the 27th Freestyle Rally is $20. The entrance fee includes a T-shirt for the first 50 participants, allows the rider to compete in the events, and be eligible for draw prizes at the Awards Ceremony. Registration is upstairs in the lodge from 9AM-12:30PM. All riders must have a valid lift ticket or season pass to access the course and features.